Do you know, at 3.2%, North Dakota has the lowest unemployment rate in the United States? If you are unhappy with your present job, how about preparing for the hearing aid specialist licensing exam here in North Dakota to become a hearing aid specialist? To work as a hearing aid specialist, you need to pass the International Licensing Exam (ILE) administered by the International Hearing Society. The 100% online self-paced education program offered by the Hearing Aid Academy is valid throughout the 50 U.S. States, Canada, and all over the world. This is your chance to become a graduate in about 12 weeks. Grab the opportunity now! Phyllis Frelich was a Deaf American actress born to deaf parents. She was the eldest of her nine siblings who were all deaf. She studied at Gallaudet College, where David Hays, founder of National Theater for Deaf, noticed her in one of her performances. He encouraged her to join his theater company. Will the profession help me earn a good income? How is the job market now? Will there are some jobs in the future too? Is this a stable career option or will I need to look for another job after a few years? Will it provide flexible working hours? Is this something that I will enjoy? Hearing Aid Academy prepares you to pass the hearing aid specialist licensing exam here in North Dakota. A career as a hearing aid specialist helps you achieve great income potential, flexible working hours and job security. Do you know, as a hearing aid specialist, you can earn a starting salary of approximately $60,000 to $70,000? 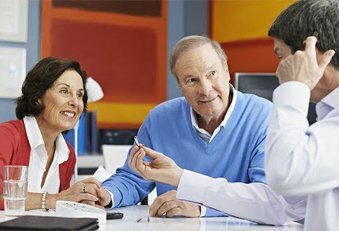 Moreover, you also have a chance to earn incentives as for every pair of hearing aid you sell, you can earn up to $1000. By selling a few hearing aids in a year, you can easily earn more than $10,000. If you choose to enroll with an accredited university or college, you will be required to pay at least $48,000 for a two years course. Further, you need to leave your current job and spend your time studying. But by registering with the Hearing Aid Academy, you get a chance to study according to your convenience. The Hearing Aid Academy prepares you for the hearing aid specialist licensing exam here in North Dakota in 3 to 6 months. You can work as fast or as slow as you want to finish the course. We have qualified instructors on board who have more than three decades of real-time experience as a hearing aid specialist. This means you are never alone and can easily clear your doubts and problems. Sometimes it become difficult to leave your job and pursue a course you are interested in. This could be because of a number of factors. However, when you find it difficult to leave your job yet want to learn something new that will give a push to your career, choose online education course. The Hearing Aid Academy offers comprehensive and advanced 100% online education program that allows you the freedom to learn at your pace. With a laptop and a working internet connection, you can easily study anytime anywhere. Therefore, by managing your study time around your day’s schedule, you can easily complete the course in 3 to 6 months. When you take admission in an accredited university, you need to spend approximately $48,000 for a two years course. This is a huge investment of time and money. But payments for the HAA online course to prepare for the hearing aid specialist licensing exam here in North Dakota start at just $199 per month. Hearing Aid Academy also provides financial assistance to students who qualify for the program. We are able to provide the online course at a low price because we offer specialized education training that is specifically targeted to help students become hearing aid specialists. As opposed to the traditional education set up where you need to spend two years to pass the exam, hearing aid academy provides you a chance to prepare for the exam within 3 to 6 months. Moreover, you are not required to leave your job to prepare for the hearing aid specialist licensing exam here in North Dakota. If you are unsatisfied with your current job and want a career you can feel good about, prepare for the International Licensing Exam (ILE) administered by the International Hearing Society (IHS). Currently, there are 5 job openings for every licensed hearing aid specialist. So grab the opportunity and work for yourself with a flexible work schedule. Hearing health industry is growing at a fast pace. You now have the opportunity to learn and develop a skill that can transform your life, and the way you support yourself and your family. What are you waiting for? Request the information packet today!